Don Bosco Public School, Jolikot has world-class laboratories that are equipped with the latest and most modern facilities. Each year, some old labs are renovated and new equipment added while other new ones are added to the school infrastructure, all in a continuous drive to keep Don Bosco Public School, Jolikot at the fore-front of new and emerging technologies in every single field. DBPS has computer laboratories, most of which have been furnished with brand new computers every 3 years. Keeping in tune with modern times, Don Bosco Public School, Jolikot ensures that practical knowledge is placed on an equal footing with theoretical knowledge for the all-round development of the students. 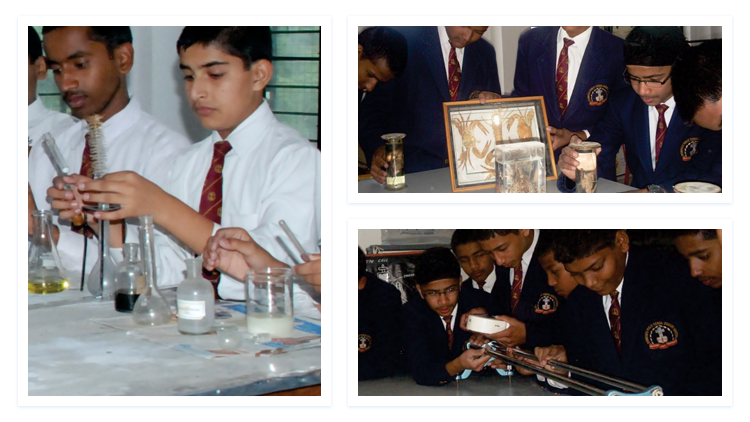 For this purpose, the school has laboratories in numerous disciplines, which provide in-depth knowledge to its pupils. The student-friendly atmosphere in these laboratories helps to enrich the overall personality of the students through motivation and reinforcement.